Rapid advances in digital technology and data collection have led to an impressive rise in data-driven marketing. While these digital tools can greatly improve campaign performance, they can also lead to data security, privacy and ethics concerns. In today’s hack-prone environment, marketers must ensure that they are protecting their systems, their data, their customers and their reputation from potential disaster. Cybercrime is on the rise. In 2017, Cybersecurity Ventures reported that it will cost the world $6 trillion annually by 2021. Marketers are increasingly making use of digital technologies to power their campaigns. However, they don’t always understand the security implications that may be putting their operations at risk. Historically, marketers have not been intimately involved with cybersecurity. But there are compelling reasons why that is changing. This year’s looming enforcement of the European Union’s Global Data Protection Regulation (GDPR) will provide new impetus for marketers to get their data houses in order. 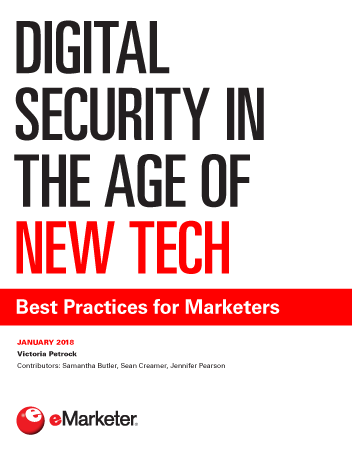 "In a March 2017 survey, IT professionals worldwide attributed 45% of security incidents in the preceding 12 months to marketing, and were significantly more concerned than their marketer counterparts that marketing would expose their organization to cyber risk."